The Catalonia crisis is threatening to overshadow a two-day EU summit in Brussels, attended by Spanish Prime Minister Mariano Rajoy. He arrived at the gathering on Thursday, as his government locks horns with Catalonia, which is threatening to go ahead with a formal declaration of independence. The summit already has a weighty menu of Brexit, migration and foreign policy. France’s president says unity has to prevail. “This European Council will be marked by a message of unity, unity around our member states in the face of the crises they may experience, unity around Spain, and a very strong unity in the Brexit debate,” Emmanuel Macron told reporters in Brussels. 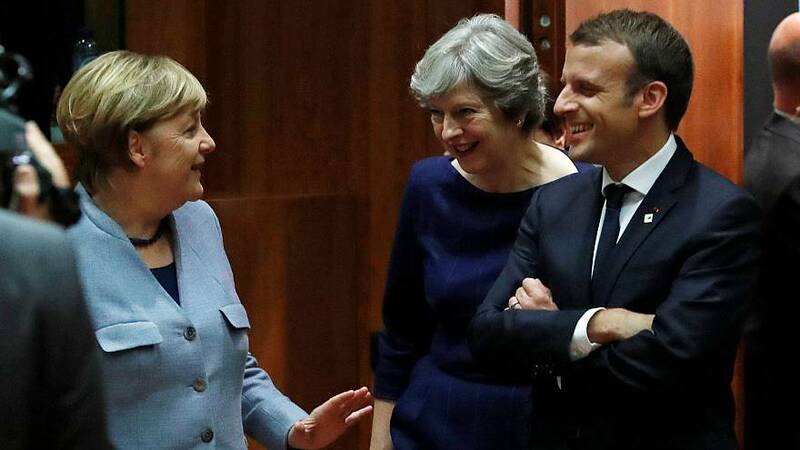 British Prime Minister Theresa May wants to advance the Brexit negotiations, but EU leaders have ruled that out amid the continuing row over the tab for the divorce. “This Council is about taking stock. It’s also about looking ahead to how we can tackle the challenges that we all share across Europe,” she said as she arrived for the summit. There will be lots of talk about the Europe of the future, a Europe picking up the pieces after the UK says au revoir.